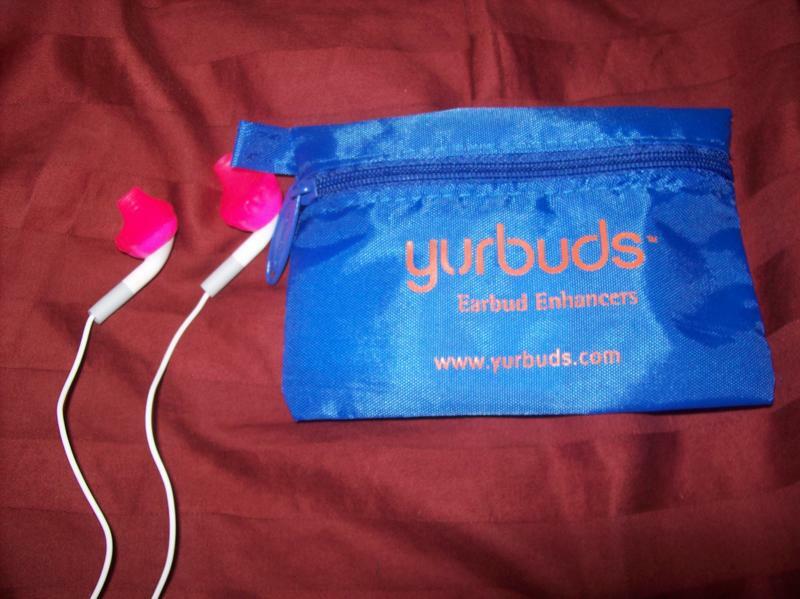 Yurbuds sent me these awesome headphones for review. I like to use headphones when I go for a walk or the occasional run. These headphones are customized to the size of your actual ear. Before I ordered these, I had to send the company a picture of a quarter next to my ear so they could size me accordingly. The earbuds are very comfortable and stay in my ears very well. my husband thinks that they are really cool too and wants to borrow them! These retail for $29.99 which is kind of expensive for earphones but they are really neat. 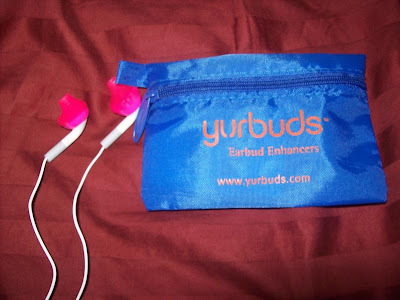 The giveaway will be for one pair of the Yurbuds seen above to TWO different readers. The giveaway is open until Midnight on Wednesday October 6th. Winner will be chosen on Thursday October 7th using Random.org. I would use them for walks at night so all the little noices wouldn't scare me. Oh boy! I've been interested in this product for awhile now..hope I win! I would use these when I run. I'm also entered into the snapware container giveawway. I entered your Bambola beauty kit giveaway. I'm also entered into the bambola beauty giveaway. Wow, these would be amazing! I rarely wear in-ear headphones because I don't think they ever fit right. I'd love to wear these while at the gym! This will be use mainly when I run. I would give them to my daughter. Her cat keeps destroying the wires to her iPod. She has learned to hide them, but new ones are always handy! I would use them at the gym while working out on the Elliptical. Thanx for stopping by my blog- I am following you back. I would use these to replace my ipod headphones which my cat Rocky chewed up!! I never cared for the original ipod headphones anyway - they didn't stay in well for running. I would give these to my husband who loves to listen to audio shows and podcasts on his various mp3 players, and this would be perfect for him to listen privately. I would love to have these when I'm walking on the (boring...) treadmill! I would use them for my workouts 3x a week for the military! Following through GFC.Us ir for walking. I would use them at the gym, so I can hear the TV's while working out on the treadmill. These look awesome! I'd use them while walking our 4 dogs, working in the yard, doing housework! I've entered the Bridgewater Candles giveaway. I really want to win! Lol. Also, regarding co-hosting a blog hop - YES, I think that's an awesome idea and would be very beneficial for us both! I would love to do that, thanks for thinking of it! :) Would you like to wait until after the October one I'm doing is done or should we start a new one right away? Totally up to you, just let me know your thoughts & what day you want to do one! I am your newest follower:) thank you for following me at my giveaway!!! I would wear these to work out! I noticed they were waterproof which is how I wreck a lot of head phones. Also I have very small ear canals and this sounds like it would help my issue of them falling out!